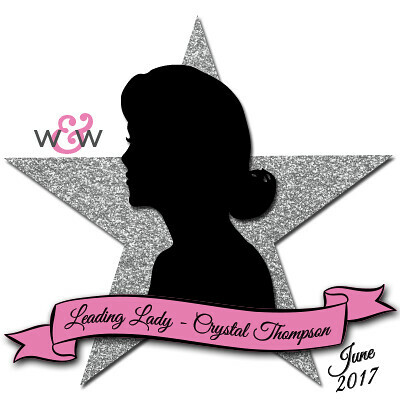 Our June Leading Lady, Crystal Thompson is back for her sensational second performance! If you missed her smashing debut you must see it...CLICK HERE. Today she brings you another stunning card with an amazing background! Hi crafty friends! Crystal here again on this wonderful Saturday celebrating National Ballpoint Pen Day(I'm not kidding)! What better way to celebrate than making a card, writing something in it (with your ballpoint pen) and sending it out. I chose to make a card without stamping! I can't believe that's allowed on a stamping site, yet it turned out pretty cute. 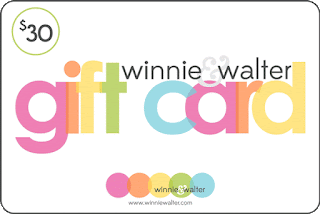 For this, I am mixing some newer and older Cutaways from Winnie & Walter. First I started by trimming a piece of patterned paper and adhered to the card base. Next, using Winnie & Walter's Cover Model: Multifaceted Cutaway I die cut on white card stock using my Big Shot. I did not take out all the triangles, just the center ones. Carefully placing adhesive on the back of each triangle so they don't fall out when I mail this. Then adhering the die cut to the patterned paper. To continue with the no stamping, I die cut vellum using "ticket" die from Essentials: Lana Cutaways, and wrapped silver thread and white twine to it, then glued that to the base. 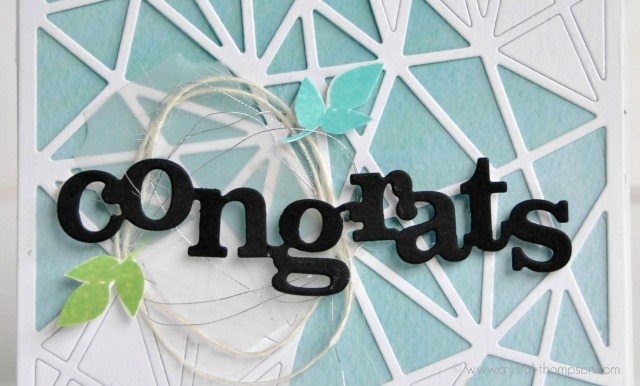 The "congrats" is from the Spring release In a Word: Congrats Cutaway using black card stock, and then placed on card base with 3D foam adhesive. Voila, the card is ready for some penmanship and be mailed out! Don't forget about the ongoing giveaway! 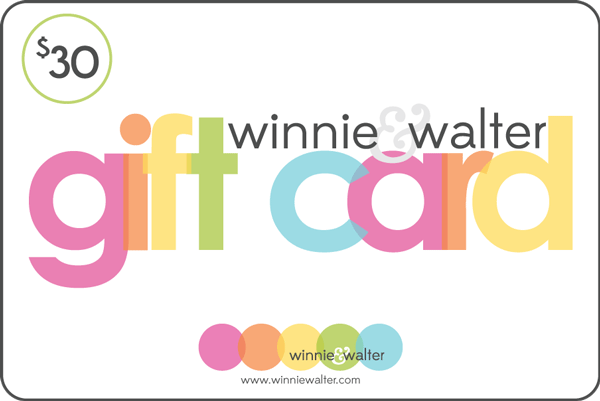 Comment on my corresponding Winnie & Walter post on my blog for a chance to win a $30 gift certificate. There will be 4 posts for the month of June, giving you 4 entries to win. Such a pretty and fresh card! I love the no-stamping look. 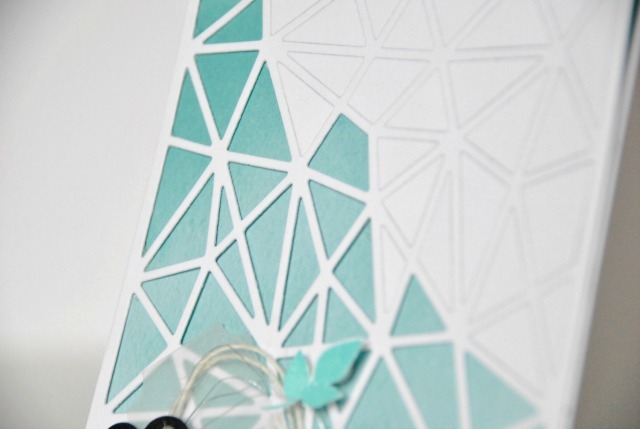 When you have such fabulous die-cuts, who needs stamping? 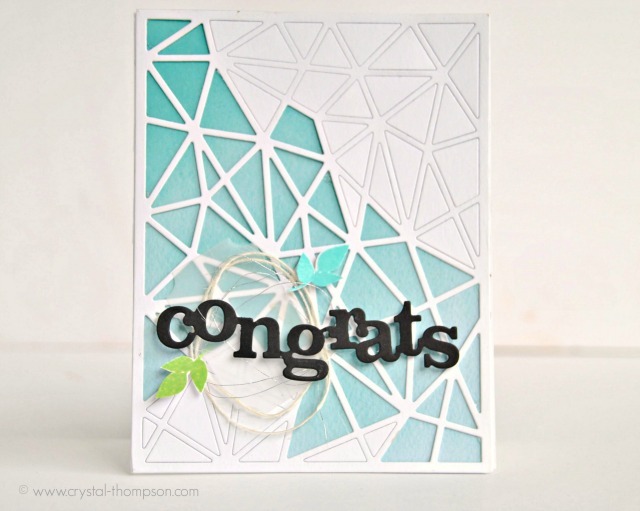 :) Super-cute card with the clean colors and the wonderful way of using vellum and twine! Love the little leaves, too!! Love, love, love this beautifully, creative card! Awesome card! Love the Multifaceted Cutaway! I do love the cards when you don't have to stamp. Gives a totally different look! Very pretty card--I like the dies that were used. Beautiful card! I love the way you left some of the pieces in the cutout and left others out. Really looks good. I'm going to have to remember that technique. Fabulous card! Love the colors, textures and the creative way you used the cutaway! This fresh looking CAS card design is beautiful. Blue and white are my favorite colors together and the sentiment and touches of color make for a modern and fresh-looking card. Love this geometric design; it's really lovely. Love that you did it all without stamping. Really nice. LOVE this design. The way you used that cut out and left some pieces in is brilliant!! Love the no stamping design! Lovely card! I just found this website and love it! Now have to check out your other card. This is beautiful!!! Super great design!! Thanks for the inspiration to use only parts of the cover up die! Wow! Beautiful design!!! Love your choiche of colors!!! Gorgeous card!! Love it :) that geometrical background is wow. Your geometrical design looks amazing! Paper piecing in dies or stencils provides so many opportunities. Great card. What a beautiful card - I wouldn't have noticed the lack of stamping if you hadn't pointed it out!